Do not feel like on frozen car doors? Rubber seals in doors and tailgate are particularly stressed in winter. To stay supple and not freeze, they should be cared regularly. The presto rubber & plastic care is ideal for this purpose. The product maintains and protects in one operation - frozen car doors are thus effectively avoided. 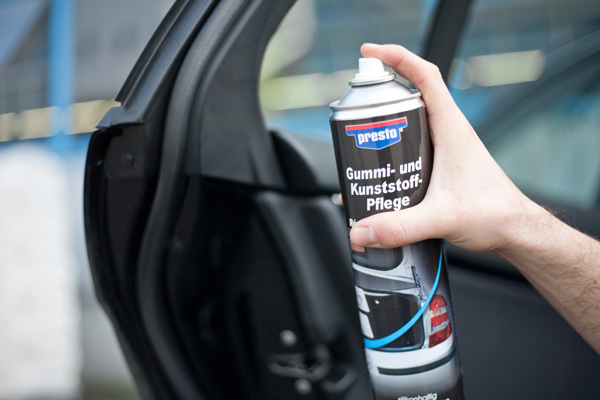 However, presto Rubber & Plastic Care also refreshes the faded colors of rubber and plastic parts on the outside of vehicles, giving it a glossy appearance all around.